Ms. Clare’s mother surprised her in attendance when she received her award. 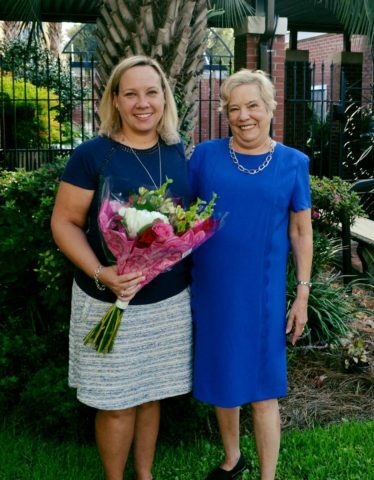 Congratulations to sixth grade teacher and CDS alumna Marianne Clare, who was recognized in September 2018 as the recipient of the Excellence in Teaching Award. “This teacher is so wise and always knows the right thing to say to parents and, more importantly, to the sixth grade students,” said a parent in a letter of recommendation. The Excellence in Teaching Fund was established in 2016 by a Charleston Day School alumni family who wanted to recognize and show appreciation for faculty members. Last year’s recipient was music teacher Chrystal Hawkins.